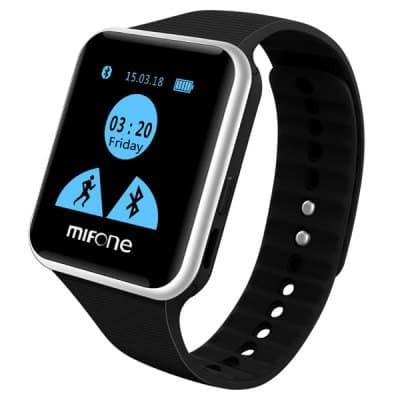 MIFONE W15 smartwatch- the affordable smartwatch which is equipped with sapphire glass which was priced at $32.99. Those days of high price tags on wearable tech are over. Now you can get the same smartwatch in half of the price. We’ve already published a detailed post on MiFone W15 smartwatch review. Anyhow, let me give a small description about this smartwatch before talking about the deal structure. The smartwatch MiFone W15 was supposed to give a competition to the Apple Watch as it also features the same Sapphire display like the Apple watch. The best thing about the MiFone W15 is its low-end price tag and the compatibility. Although, it is a known fact that MiFone W15 is not near to the Apple watch competition during its release, but the cheapest price tag making it an affordable gear for the customers. It comes with 2.5D curved Sapphire touch screen. 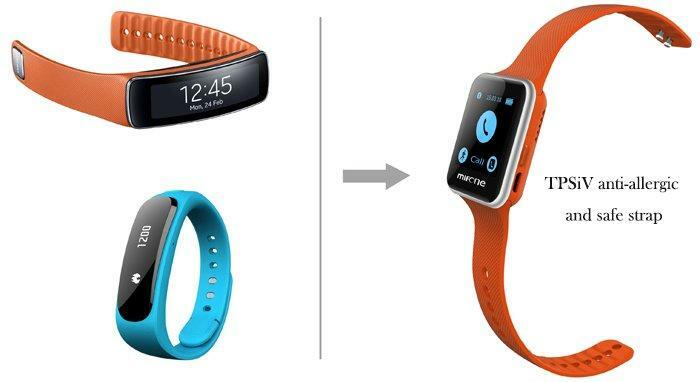 The smartwatch is available in 5 different colors – Orange, Chocolate, Purple, Sapphire blue & Black. 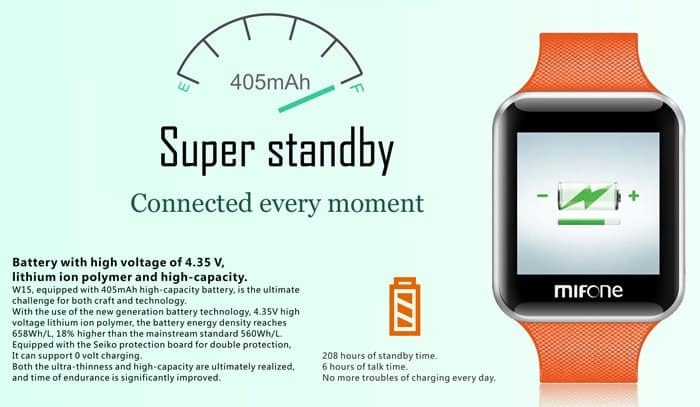 As I already said the first discount price of this smartwatch was around $32.99. Now, there’s a crazy promotional deal in Gearbest where the smartwatch is offered for half of the price. Let’s see the deal structure. Actually it is a 4-day promotional deal which starts from today & the price gets increased each day.